Make the most of your hearing health in 2017. 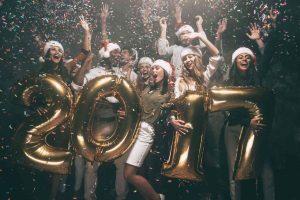 New hearing technologies and increased awareness of hearing loss points to 2017 as being the “Year of the Ear.” If you haven’t already made your New Year’s resolutions, consider what you can do to protect your hearing and be more hearing health conscious. We’ve compiled a list of a few things that you might want to consider for the new year. Hearing loss can be difficult to identify, which is why it’s so important to be on top of changes that may occur to your hearing. Make sure you are making an annual hearing test part of your hearing health routine. Many hearing clinics provide free testing. If you haven’t already, schedule your next evaluation for the new year today. Noise-induced hearing loss is increasingly becoming a problem, especially for people aged 12 to 35. With the growing popularity of personal listening devices, taking steps to protect your hearing has never been more important. Take steps to ensure that you are listening at an appropriate volume, and use earplugs in heavily noise-polluted environments. A shockingly large amount of people that could benefit from using a hearing aid device don’t actually use one. Hearing aid technology has improved significantly in recent years, and it’s worth exploring what kind of solutions there are that could make your life easier. You might be surprised by what a hearing aid device can do to improve your quality of life. If you’re suffering from hearing loss and haven’t looked into treating it, now is the time! Every person’s hearing is unique, almost like a fingerprint. When it comes to issues like hearing loss, tinnitus, hearing technology etc. don’t be afraid to ask a professional for advice. Your adiologist can help you make informed decisions about your hearing health and start on a path toward better living. This entry was posted on Thursday, December 22nd, 2016 at 12:30 pm. Both comments and pings are currently closed.